The SanDee and Amelie's steampunk challenge is asking for three favourite steampunk projects from 2016. At first I thought I might not even have three projects to show, but actually I did... I even got to pick and choose! Here they are, in no particular order: a set of ATC:s and two cards. 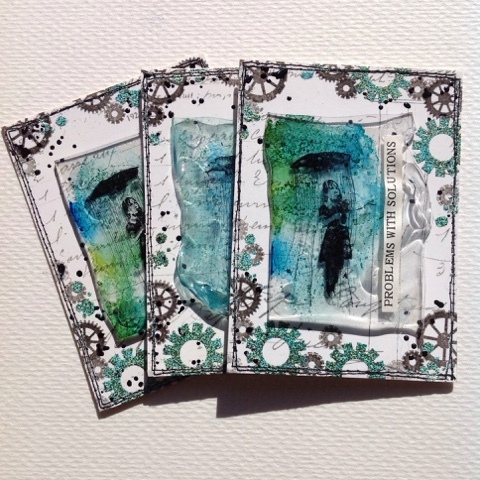 Great ATCs and cards, Kristina! 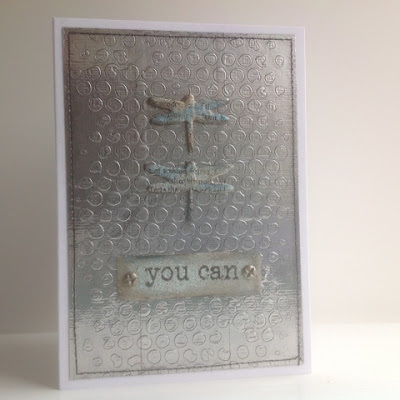 So happy that you decided to play along and share your lovely makes with us over at SanDee&amelie's! 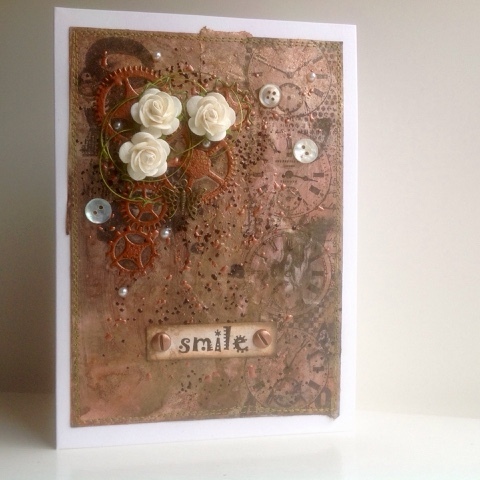 love the colors from the first card but all works are fab. Thanks for playing at SanDee&amelie's! I can see why these are favs! Love each one of these projects!